Send that special someone in your life instant hugs and lasting memories with our stunning bouquet of pink roses, alstroemeria and mini carnations, artistically designed by our select florists with accents of waxflower, seeded eucalyptus and more. 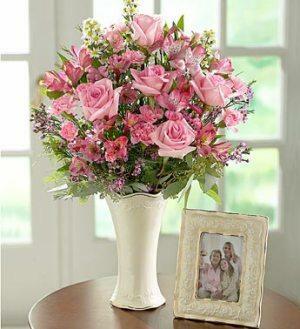 Arriving in a striking keepsake ceramic vase, this unforgettable gift, perfect for any occasion. 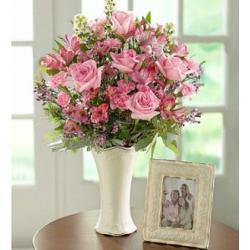 Arrangement measures approximately 18”H x 15”D.